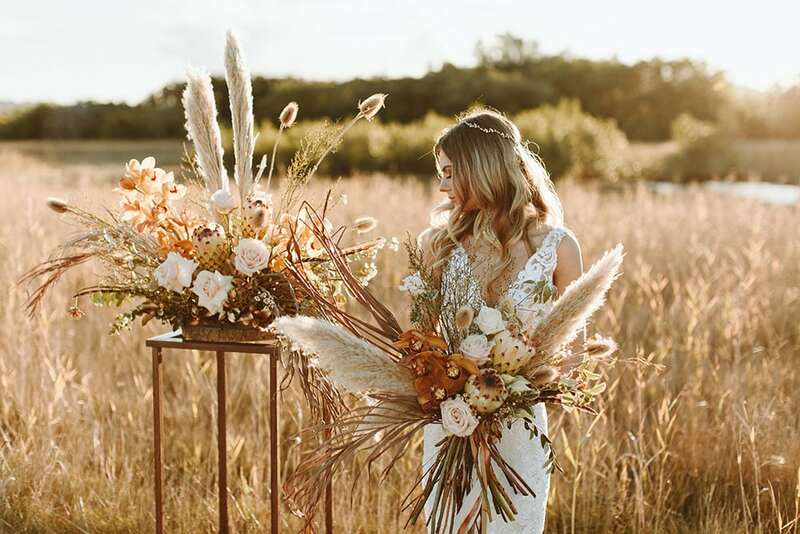 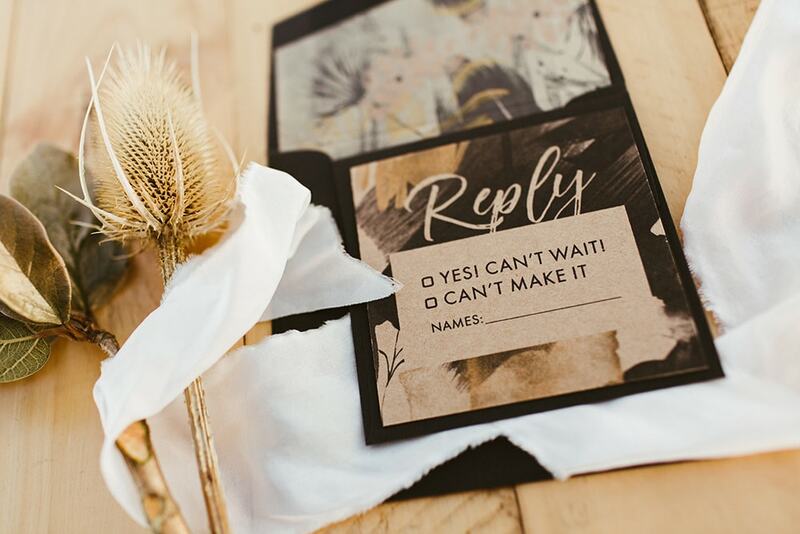 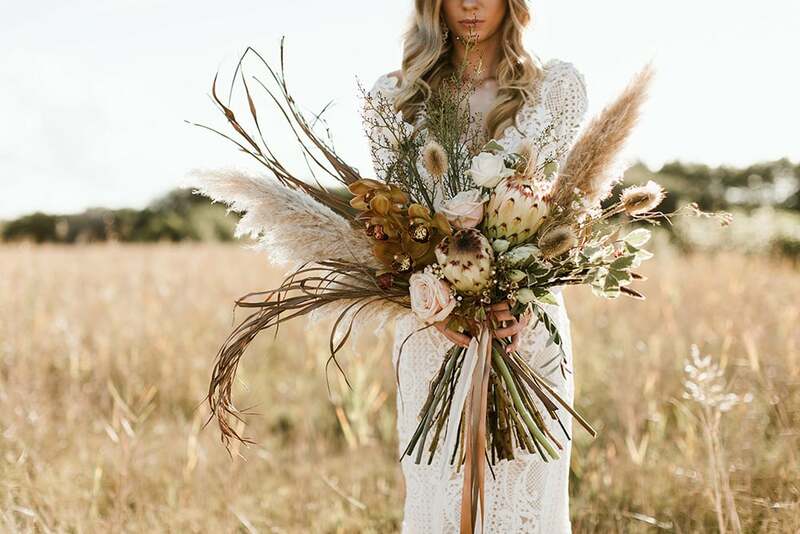 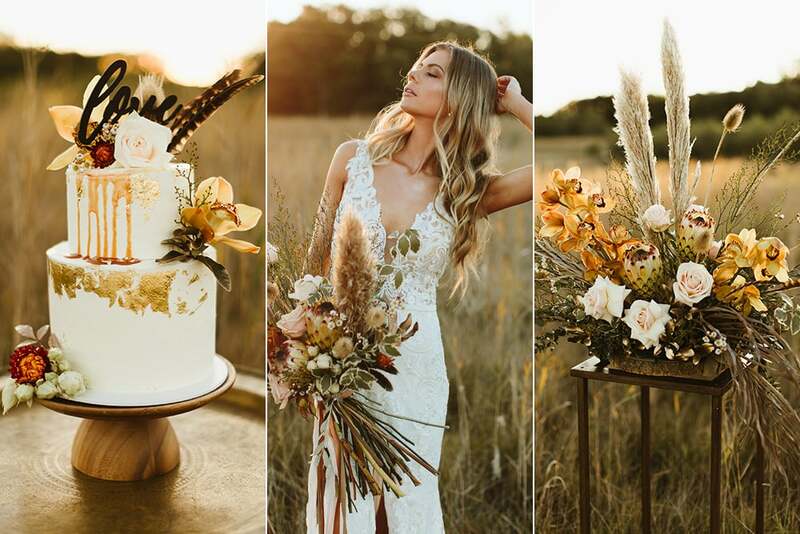 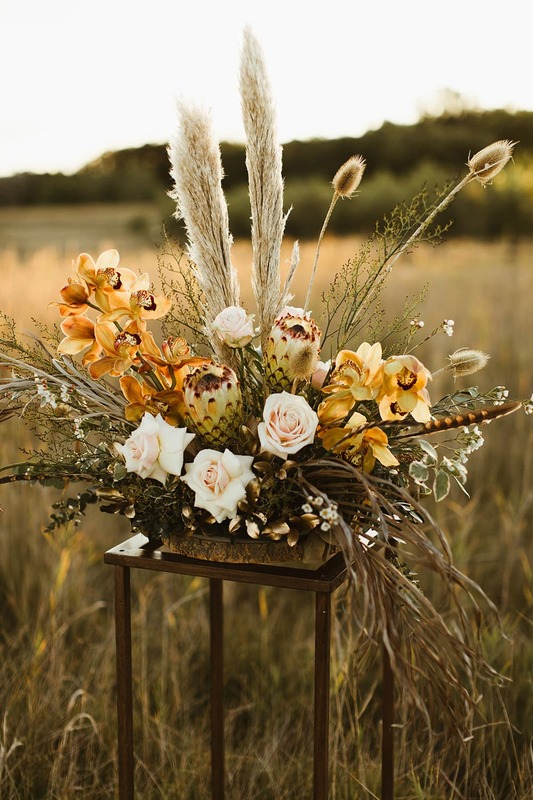 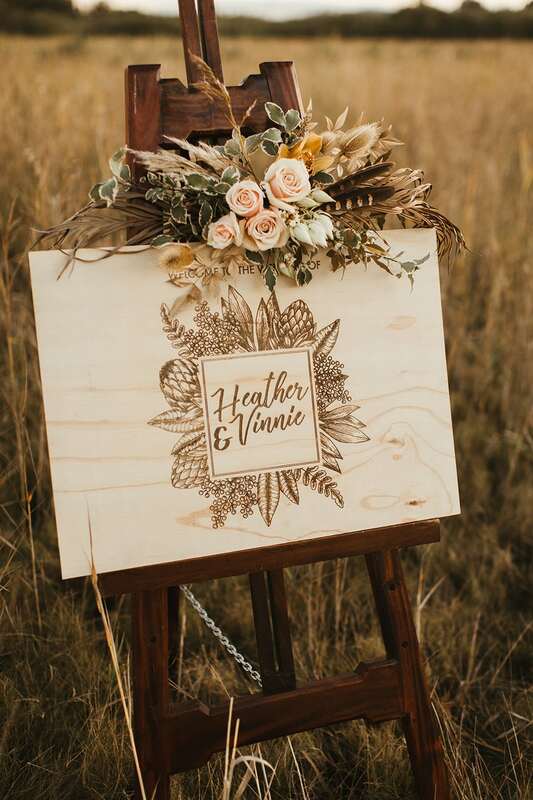 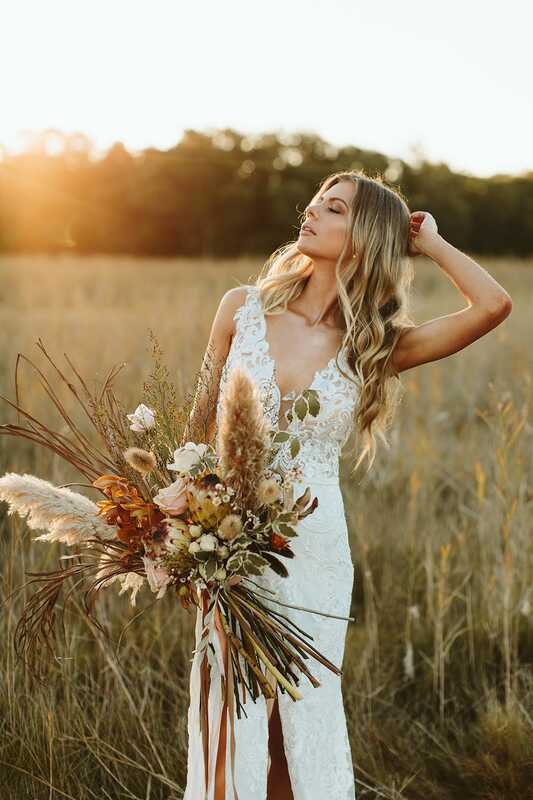 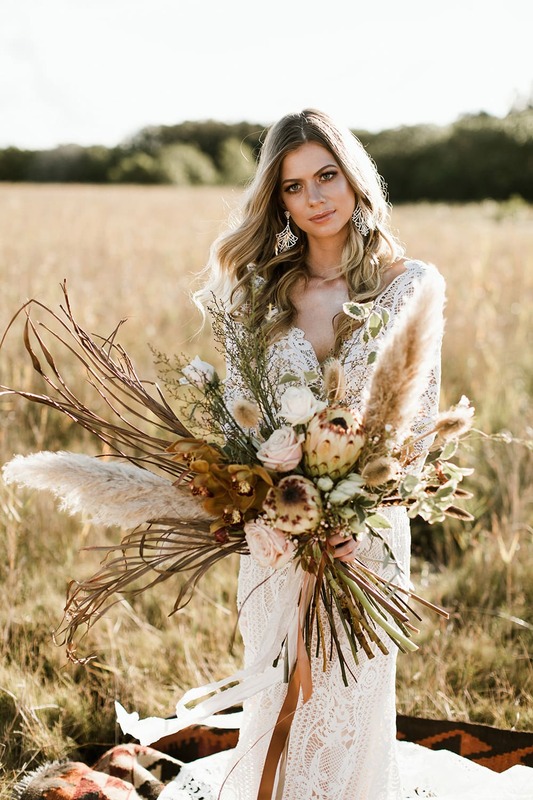 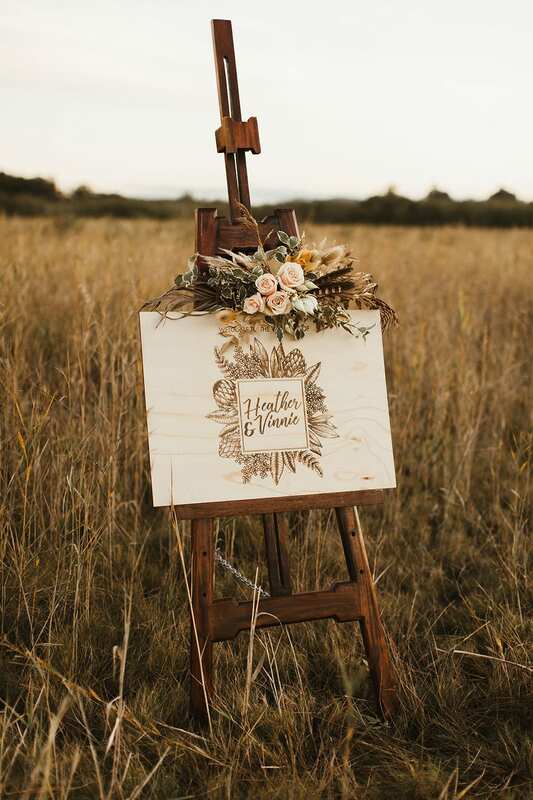 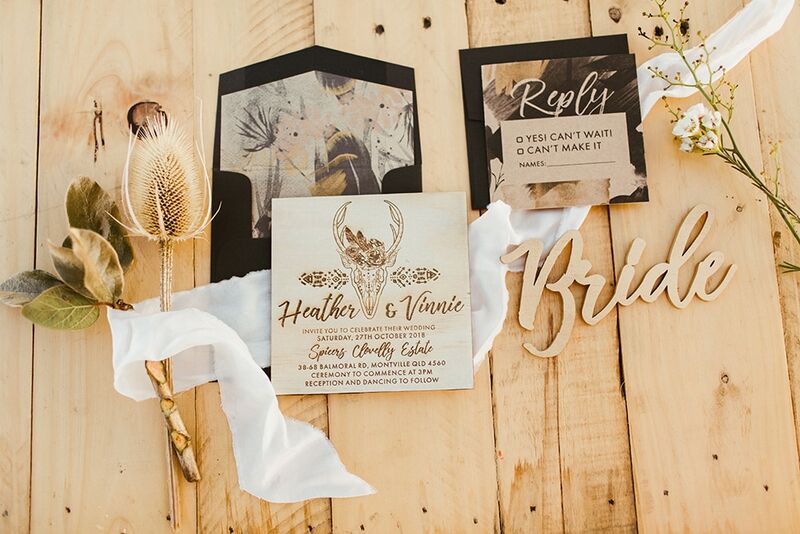 This earthy bohemian wedding concept takes inspiration from golden light and wild grasslands. 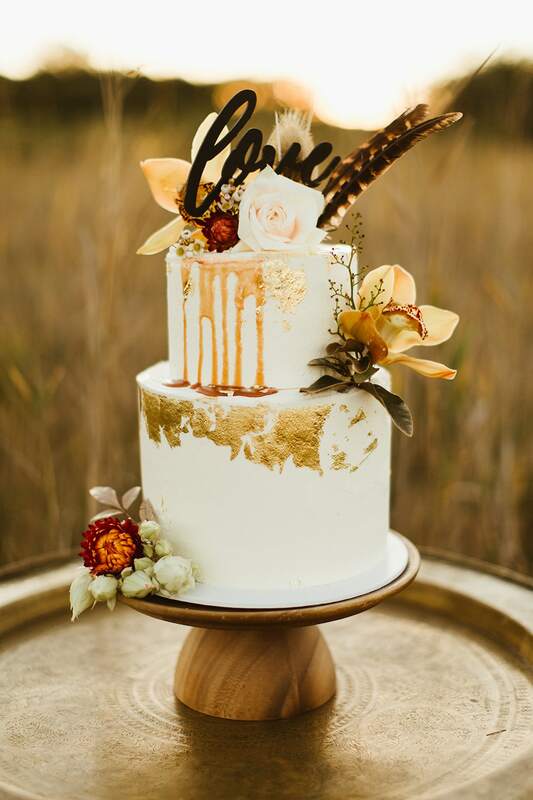 It features a delicious palette of chocolate, caramel and honey paired with soft neutrals and flecks of gold. 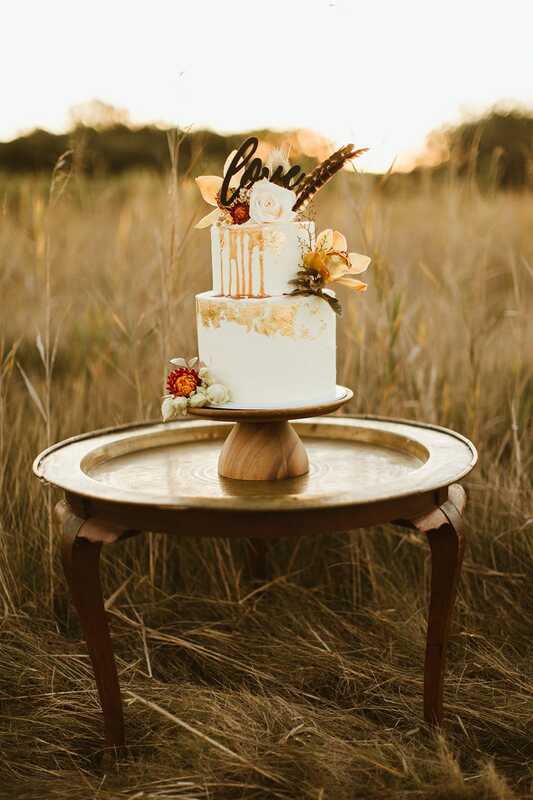 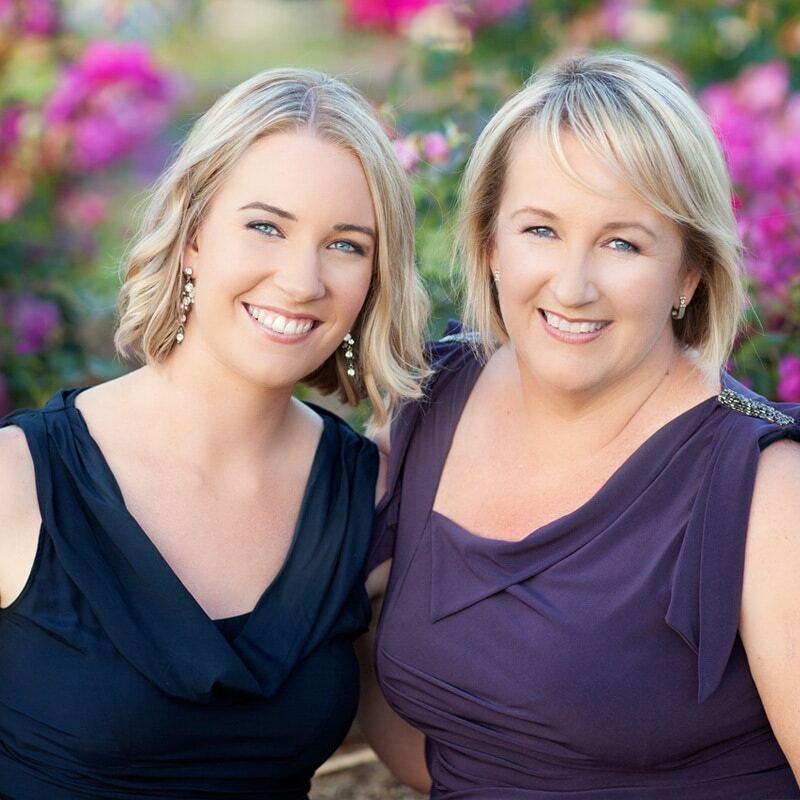 Natural decor fits seamlessly in the setting, with everything from welcome signs to cake stands crafted from timber. 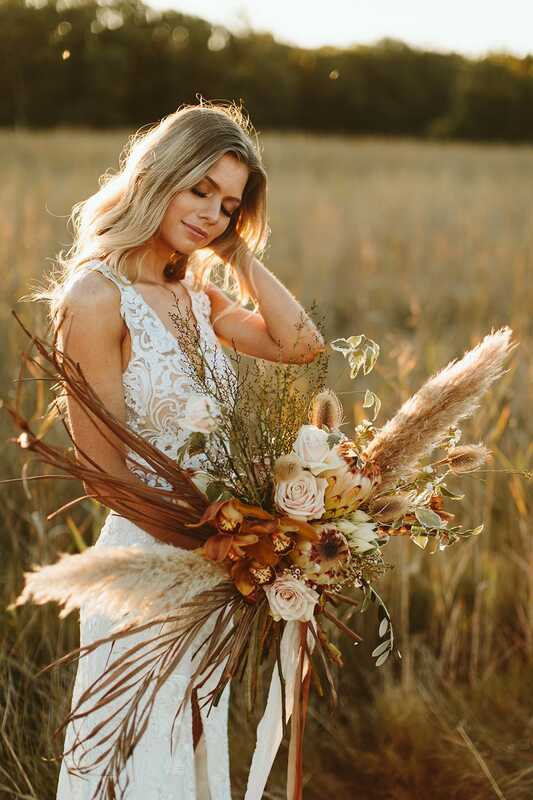 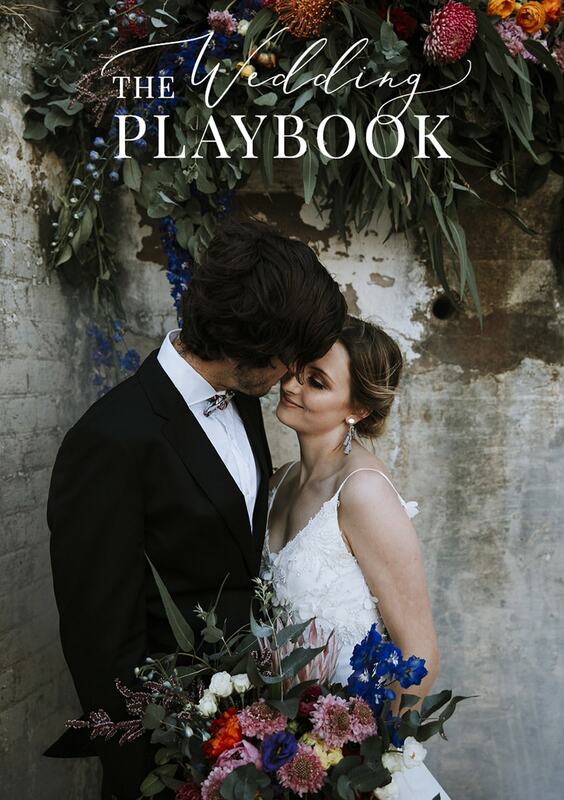 Ornate lace wedding dresses deliver effortless style alongside untamed floral arrangements, where foraged foliage offers a stunning contrast to luminous orchids, sculptural protea and delicate roses. 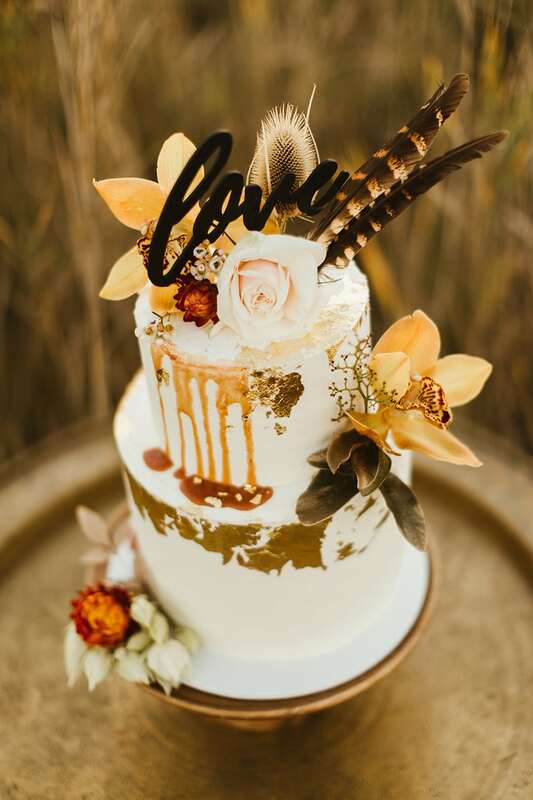 Get up close and personal with all of the divine details below!